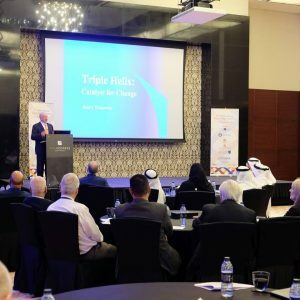 The II International Triple Helix Summit in Dubai, United Arab Emirates, from 10th to 13th in November, 2018 was focused on the Role of Government, Academia, Industry in Building Innovation-Based Cities and Nations. 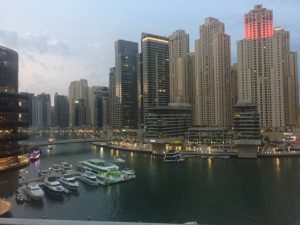 The Summit was held at Address Dubai Marina Hotel, 4º floor, in the heart of Dubai, the most vibrant area near by Dubai Marina Mall, restaurants and the famous Palm Jumeirah. The Organizing Committee was composed by The British University in Dubai, the Triple Helix Association, Mohammed Bin Rashid School of Government and University of Dubai, partner of Department of Tourism and Commerce Marketing and Sponsored by Al Sahel contracting Company LLC, Supreme Council od Energy and Al Maktoum Fundation. The patronage was enlaced by his highness Sheikh Ahmed bin Saeed Al Maktoum, chairman of Dubai Airports, CEO and Chairman of the Emirates Group, President of the Dubai Civil Aviation Authority and Chancellor of the British Universty in Dubai. The II Summit relied on the active participation of the key local stakeholders and the illustrious presence of iconic Prof. Henry Etzkowitz, President of the Triple Helix Association (THA), Prof. Emanuela Todeva, THA Vice President and also representatives from industries, policy makers, researches, scientists, managers of innovation and international Parks, students and interested parties. 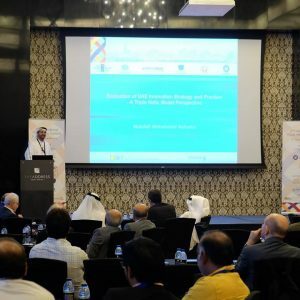 The program schedule was organized in Keynotes, Triple Helix Plenary Sessions, Round-table discussions, Master classes, Paper and Case Presentations, Gala Dinner & Closing Event Ceremony. During the Gala Dinner and the Closing Cerimony the winners of the Medal Awards for the best case study & Awards for the best research paper were presented. The first day (11th November) the open ceremony at Main Ballroom 2&3 in 9:00 a.m. Dubai time was presided by a Guest of Honour, Mr Abudallah, Secretary General of The Dubai Executive Council and the Welcome Session presented by Mr Mohammed Abdulla Shael Alsaadi, CEO-Corporate Strategic Affairs, Department of Economic Development, Government of Dubai. The keynote 2 was presented by H.E. Ahmad Butti Al Muhairbi, Secretary-general, Dubai Supreme Council of Energy. The keynote 3 was honored by Josep Pique, past presidente of the International Association os Science Parks and Areas of Innovation. Keynote 4 was pronounced by Abdullah Alshamsi, Vice Chancelor of The British University in Dubai. 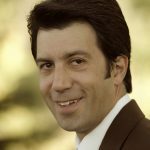 After lunch time, the Plenary 1: “Challenges for Effective partnership and Interactions among Triple Helix Actors in support of Innovation” was chaired by Prof. Tariq Durrani, University of Strathclyde, Glasgow, Scotland, UK. After the coffee-break , Prof. Emanuela Todeva, Vice President of the Triple Helix Associationa chaired a Roundtable Session on Science Parks & Triple Helix. 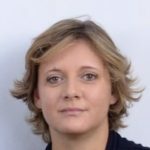 In parallel, at Ballroom 2, the Workshop “Developing university-industry collaborations: why, what, how” was delivered by Dr. Tatiana Schofield, head of Knowledge Exchange at The Royal College of Art. The 12 paper oral presentations lasting 20 minutes each were organized in session A, Chaired by Prof. Sufian Forawi, and Session B, Chaired by Prof Khalid Al Marri. 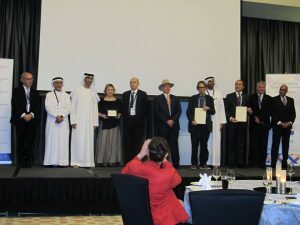 The Gala Dinner & Awards Night at 7:00 p.m. was opened by a guest speaker of excellence Dr Thani bin Ahmed Al Zeyoudi, Cabinet Member and Minister of Climate Change and Environment and after his presentation the THA and BUiD announced the winners of the TH International Medal Award for the Best Case Studies. Second day 12 th November the program continued with Keynote 5 at 9:00 a.m. Dubai time with Prof. Stephen White, Vice President for Academic Affairs, American University in Ras Al Khaimah entitled “University Agility in Partnering with Industry and Government” focusing on the provoking whether Government Regulation of Higher Education can ensure quality, allowing at the same time Universities to Be Entrepreneurial. The keynote 6 was given by Prof Emanuela Todeva talked over “The Global Innovation Index as a Measurement of Triple Helix Engagement”. 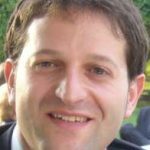 Before lunch time, plenary 2 “Challenges for Effective Partnership among Triple Helix Actors in Construction” was chaired by Al Sahel, Contracting Co. 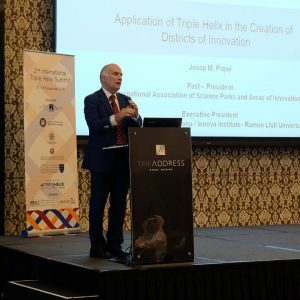 The plenary 3 “Opportunities and Challenges in Operationalizing the Triple Helix model at regional level: the experience of the Triple Helix Association Chapters”, was curated and chaired by Ms Maria Laura Fornaci, Executive Director of Triple Helix Association. 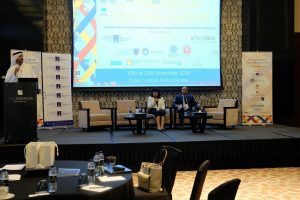 In this point the program of the Summit achieved the half and the main intellectual contribution for professionals, researches and policy developers, offering real life examples of Triple Helix in action from Mr. Naveed Ulhaq, Office Coordinator of the South Asian Chapter (SATHA), Olga Sudibor, Leader of the Kazakhstan Chapter, and Dr Liana Kobzeva, representative of the Russian Chapter. Phenomenal! 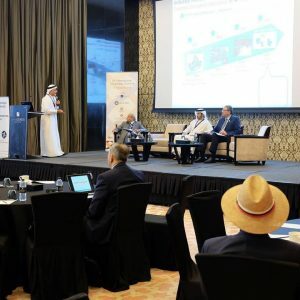 After lunch in the second day Prof Mousa Mohsen, Dean of Engineerring of American University of Ras Al Kahmaimah chaired the plenary 4 “The Role of The Triple Helix in Sustainable Energy”. The plenary 5 on “The entrepreneural university and its engagement in the Triple Helix system” took a course between Academia, represented by the Prof Bassam Abu Hijleh, Dean Faculty on Engineering & IT, The British University in Dubai, and Dr Yuzhuo Kai, University of Tampere, Finland; and the Privacte Sector, represented by the Mr. Faris Saaed, CEO, Diamond Developers. After coffee-break, 20 paper and case oral presentations were performed in three parallel sections C, D, and E, Chaired by Riccardo Viale, Dr. G. Gachino and Dr. E. Fiore, respectively. During the third day of the Summit, 13 th November, at 9:00 a.m. Dubai time, took place the Plenary 6 on”Multiculturalism and Inclusivity”, held by Dr. Abubakr Jaber, College Secretary and Acting head of College, Al Maktoum College of Higher Education and Prof. Eman Gaad, Dean of Faculty of Education, The British University in Dubai. The plenary 7 fostered the challenges for effective partnership among Triple Helix actors in Smart Cities, chaired by Hussain Al-Ahmad, Dean Engennering and IT, University of Dubai with contributions from Dr Fatma Taher, Assistant Dean, College of Thecnological Innovation, Zayed University, Dr. Bushara Al Blooshi, research and Innovation Manager DESC, and Mr. Martin Feustel, CEO, Energy Savers Industry. Right after the coffee-break at 11:00 a.m Dubai time, a round table discussions of the THA Thematic research groups on “ Innovations in the Triple Helix Studies” was conducted by the Yuzhuo Cai, Liana Kobzeva, Dimitri Corpakis, former European Commission official, Convener of the TRG on Innovation policy (INNOPOL) and professor Emanuela Todeva. 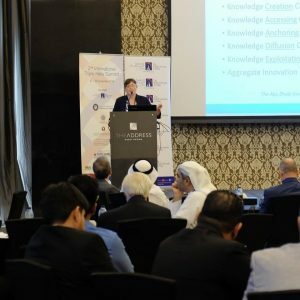 Dr Christiane Gebhart, Malik Institute, Switzerland, Triple Helix Association Member of the Board and THJ Associate Editor, delivered a Master Class on Entrepreneurial University before lunch time at 13h30 p.m Dubai time. As final sessions the 12 oral case and paper presentations were run in parallel sessions F and G, chaired by Dr. Alaa Ameer and Aisha Ali. The Closing Ceremony included a Thank you Note, the Awards for the Best Research Paper and the announcement of the next Triple Helix Events. The prize for the Best Research Paper was presented to Claudia Olvera, PhD student for the paper “Evaluating the Success of Companies at University Science Parks: key performance and Innovation Indicators”. Congratulations! 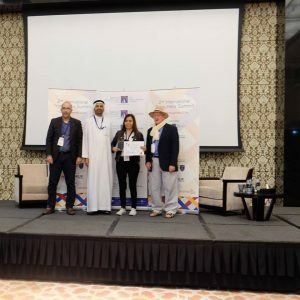 The PhDs students from United Arab Emirates, Pakistan, Morocco , Mexico, Italy, Serbia, also from Brazil and multiple countries were quoted to compete for the Award. 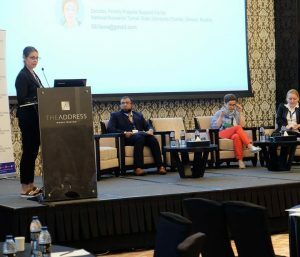 The Summit took place soon after the XVI TH Conference Triple Helix and Beyond – A New Era, Manchester, UK in 5 th to 8 th in September 2018, and preceded the upcoming XVII International Triple Helix Conference: A Catalystt for Change, Cape Town, SA, 9th to 11st Sptember 2019.